In this episode of The Plant Trainers Podcast, we talk with Dr. Pam Popper, known for her no-nonsense videos and blogs that busts myths and tells the science-based truth. We get into the idea of ADHD, and how so many children are medicated but more importantly IF that medication is actually working and IF the RISK outweighs the BENEFITS. Do you know that your child can be more likely to abuse drugs if they are on behavior modification drugs? Do you know that there are other lifestyle skills you can apply to get better results without the scary side effects? This episode is really important as we give you an understanding of what questions you need to ask your doctor before starting a medical protocol to protect yourself. We also cover if mammograms are important and if she supports illness fundraisers like “Run for The Cure”. You’ll also find out if Dr. Popper had bad habits and what they were. It will knock your socks off. This is an episode you’d want to share with anyone with school-aged kids, kids with ADHD or someone about to go get their mammogram. 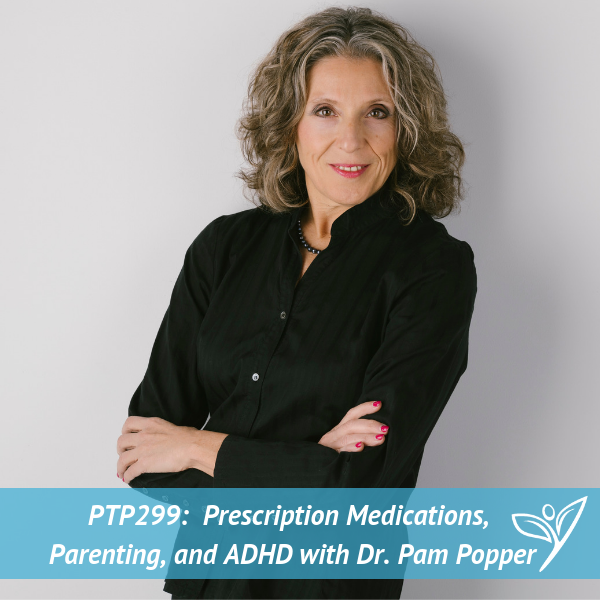 Dr. Pam Popper is a naturopath, an internationally recognized expert on nutrition, medicine and health, and the Executive Director of Wellness Forum Health. The company offers educational programs for consumer and healthcare providers that facilitate evidence-based, collaborative and informed decision making for health-related matters. Dr. Popper serves on the Physician’s Steering Committee and the President’s Board for the Physicians’ Committee for Responsible Medicine in Washington D.C. She served as part of Dr. T. Colin Campbell’s teaching team at eCornell, teaching part of a certification course on plant-based nutrition. She has been featured in many widely distributed documentaries, including Processed People and Making a Killing and appeared in the acclaimed documentary Forks Over Knives, which played in major theaters throughout North America in 2011. She is one of the co-authors of the companion book which was on the New York Times bestseller list for 66 weeks. Her most recent book is Food Over Medicine: The Conversation That Can Save Your Life. Dr. Popper is featured as one of the lead experts in the documentary Food Choices, which was released in September 2016, and is co-authoring the companion book for this film. Don’t forget to contact us at info@planttrainers.com with your questions! We hope you enjoyed this podcast! Please take a moment and leave us a rating and review over on Apple Podcasts – we would be grateful! This will help get our podcast out to others who may enjoy it. We promise to read your reviews and consider your feedback. This show is for you. 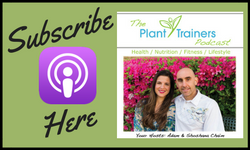 Please subscribe to The Plant Trainers Podcast on your favorite podcasting platform. Help us by spreading the news about our totally awesome Podcast!